Another inspired fight from Ferrari came up short and for the fifth consecutive time it was Mercedes celebrating both championships – and a quick review of william hill before the season started would have shown the potential for such an outcome. The dominance of the early hybrid-era days might have disappeared but the ability to get the job done certainly hasn’t. In winning his fifth Drivers’ Championship, Lewis Hamilton set a record for points accumulated in a season, becoming the first man to break the 400-point barrier (408). The accolades don’t stop there. 17 podiums in a season is tied for best of all-time, 11 wins in a year ties his personal record and his win from 14th place on the grid at Hockenheim is the furthest back someone has won a race in a decade. Accolades on one side of the garage is mixed with adding pressure on the other. 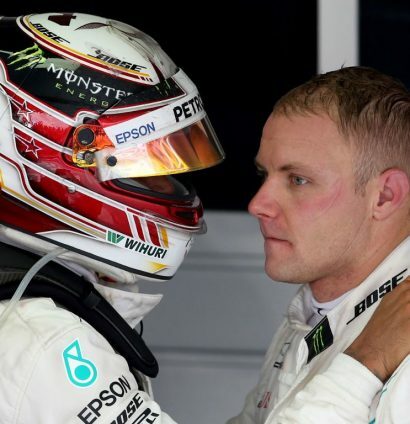 Whilst Hamilton was soaring over 400 points, team-mate Valtteri Bottas was unable to get over 250. He completed the first winless season by a Mercedes driver since 2012 and secured a lowly P5 in the World Championship. The pressure on the Finn has been particularly high towards the end of the season as he finished all of his final four races in fifth place. Before this, no Mercedes driver in the hybrid era had gone four races without a podium. Another unwanted record. The statistics read as well as you expect them too. The table below shows the percentage of points each driver has contributed to Mercedes’ total in a season. In 2017, Bottas was far from shamed as he picked up over 45% of the points for the team. A number that is on a par with those put in by Nico Rosberg in 2014 and 2015. Unfortunately for Bottas, Hamilton improved on last season’s total by 45 points whereas the Finn himself has dropped 58 points. The result is that Hamilton provided comfortably over 60% of the points this season. With Esteban Ocon waiting in the wings, Bottas has got his back against the wall in 2019 but, in regards to 2018, should Mercedes look deeper than the statistics on the surface? There’s no defending some of the lacklustre races that Bottas has put together but the Finn was hit with a lot of bad luck throughout, especially during the earlier parts of the season where dreams of a championship run were still alive. Putting a figure on the points he lost is difficult and is mainly a product of interpretation, but I fully believe it is in the region of 70 to 100 points. More than enough to offset his points deficit compared to last season. Of course all drivers should expect a few moments of bad luck in a season, that’s Formula 1 for you, but Valtteri seems to have got more than his fair share. In my opinion, he received bad luck in seven of the 21 races. Also, @lbraking – this ties in nicely with the section in my season review where I argue Bottas *could* have had a 38 point lead, mid season! 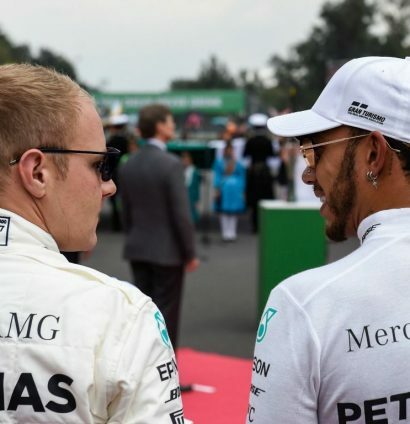 After narrowly missing out on victory in Bahrain, Bottas got another good opportunity to win in China after perfecting an undercut on Sebastian Vettel. He would have almost certainly cruised to victory without the safety car that came out on lap 30 which prompted Red Bull to pit their cars and gave Ricciardo the strategy for victory. Bottas came home second but this was seven points gone. Perhaps the unluckiest of the unlucky moments. Bottas’ ability to save his tyres in Baku was rewarded when a safety car came out towards the end of the race. Bottas was on his way to victory before he suffered a puncture with three laps to go. Four races in and Bottas could and should have won three of them. As it happened, he had none. Not one that is spoken about as much, but his incident with Sebastian Vettel on the first corner at Paul Ricard (an incident deemed to be Vettel’s fault) saw him drop to the back of the grid. He recovered to P7 but judging by his pace in qualifying and his team-mate’s pace in the race, P2 (and 12 more points) would have been achievable. A race where he was successful last season, a similar story looked to unfold after he secured pole position on Saturday. After being overtaken by Hamilton at the start, Bottas was running comfortably in P2 before a gearbox failure led to his retirement and more valuable points slipping away. Another instance where a safety car ruined the Finn’s race. Before the safety car period, Bottas, in P2, was slowly eating into the lead that Sebastian Vettel had. Mercedes left him out on worn tyres when the safety car made an appearance; Vettel stopped. Bottas did his best to hold off the Ferrari but his resolute defence eventually came to an end. From there he slipped back to P4 where he finished the race. Two or even three places lower than he would have been. The wacky German Grand Prix ended with a Mercedes 1-2 finish but not the way around that Bottas wanted. As he applied pressure on race leader Hamilton, he was instructed to stay behind and not attack his teammate. He duly obliged. Would he have been able to get past? Maybe, maybe not, but he was looking menacing enough for the team to send a message. This one doesn’t need much of an explanation. 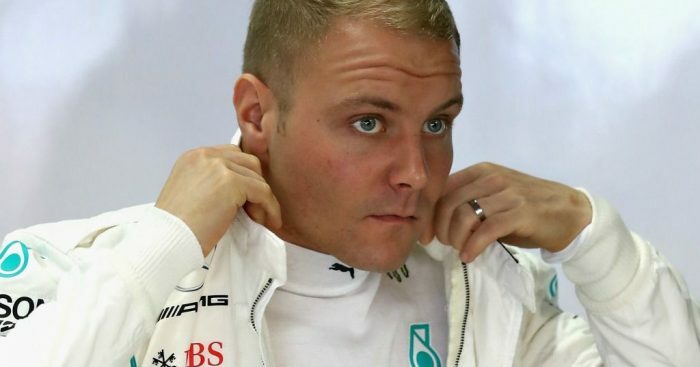 Bottas gave up a race win to help Hamilton’s championship aspirations. There are those that would argue this one wasn’t bad luck but instead a product of circumstance. That much is true, but without the episodes of bad luck in the first place, Bottas might well have been in with a fighting chance at this point of the year. The end of the season was tough for Bottas as he found himself well out of form, but is it coincidence that he performed at his worst when there was essentially nothing to fight for? When his motivation was high early in the season, the performances were of an equally high standard. 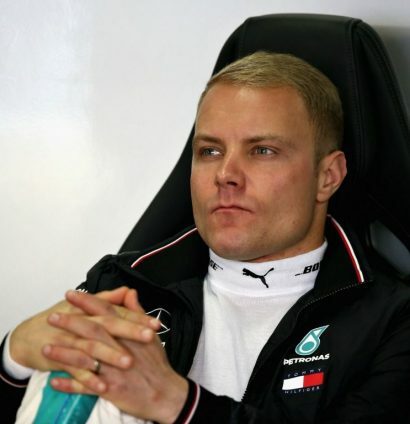 I am not excusing Bottas for some of the poor races he delivered and he does need to up his game next season, but can we put away the pitchforks? He now has the winter to refocus and come back refreshed for the start of 2019. If he’s still performing poorly then, that is the point the worry should start to set in.